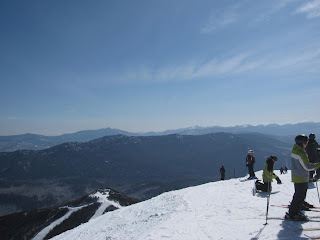 Top of Skyward - highest lift-served point on Whiteface Mt. Yes, that is corn snow. 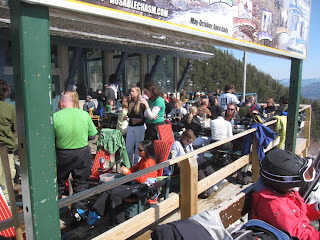 St. Patrick’s Day 2011 at Whiteface Mountain lived up to prior years’ reputations. Note the plurals. A remarkable thing occurs when one combines this particular day of the year and Whiteface Mountain. It seems like St. Patrick’s Day is always an epic day to ski Whiteface. I wish I was more scientific in my approach to tracking coincidences like this that turn into patterns, but unfortunately I cannot cite statistical data to support the claim. My anecdotal data however suggests you can expect incredible ski conditions on March 17 at Whiteface Mountain. This year was no exception. It seemed like every inch of every trail was covered in delectable corn snow. Even The Slides were open and doing a brisk walk-up business. Mountain Run and Wilderness at rest time. The bright sun and warm mid-50 temperatures on deep snow pack made conditions so great it was tough for some of us to stop skiing to take a much needed water and libation break. Others found it much easier to relax and enjoy the mid-station sundeck. 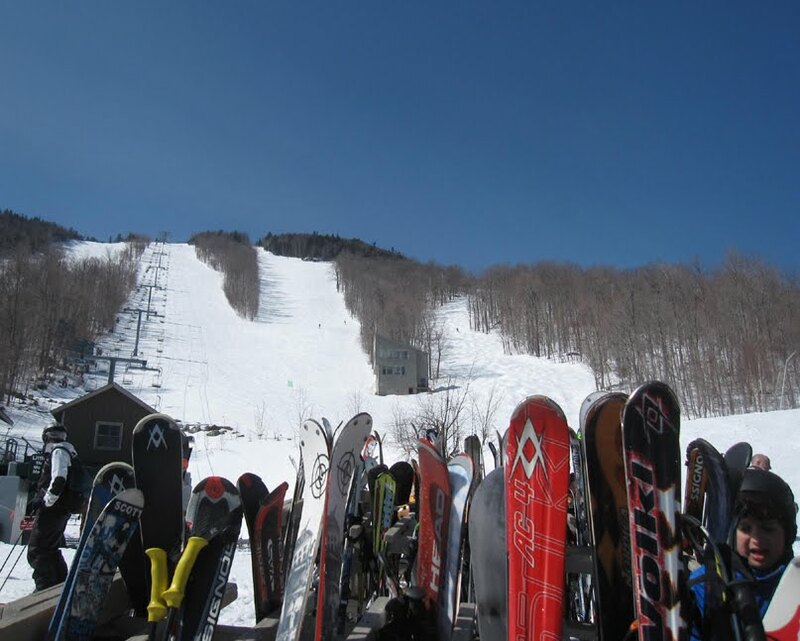 Historically, March can be the best month to ski at Whiteface. This looks like a year for the history books.